Pumpmasters are the Scottish partners for German manufacturer Rewatec. 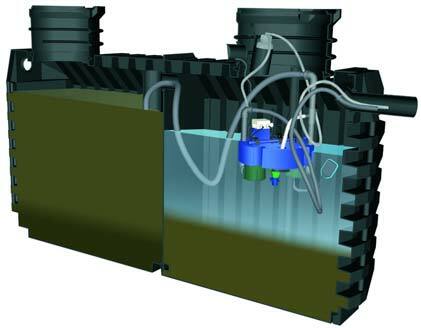 The benefits of Rainwater Harvesting Products from Rewatec include the following. The SBR system uses the Sequence Batch Reactor processing method, similar in concept to all the major water companies in their large treatment facilities. This means that each day a pre-programmed batch process takes place, which ensures the full processing of incoming sewage to the desired standards. Ammonia : < 10 mg/l, on a continuous basis.